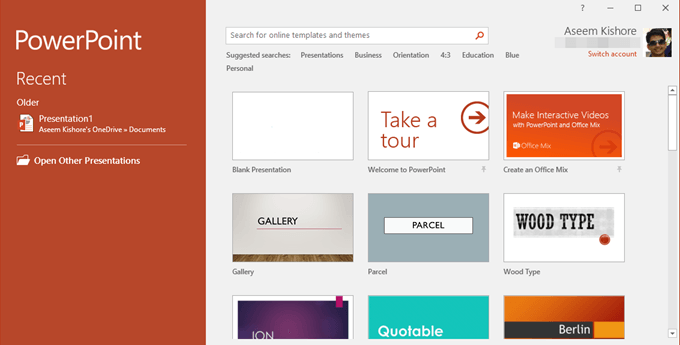 Before we get into the 15 websites, I should also mention that there are a couple of hundred templates you can use from within PowerPoint itself. Open PowerPoint and you’ll see thumbnail images for about 30 or so templates. PowerPoint Styles has several hundred templates that you can browse by category, color, tag, most viewed, most recently added or most downloaded. Simply click on the Download now button on the template page to get the file, no registration required. Hopefully, browsing these sites should give you enough templates to choose from for your presentation. Actually, with so many choices, you might end up wasting more time searching for the perfect template rather than creating one! If you have a suggestion for a site that you have used in the past, feel free to let us know in the comments. Enjoy!